Every year, International Men’s Day is commemorated worldwide to bring into the limelight, the men who are impacting the society positively and to also spread awareness about the issues that they face on a global scale. 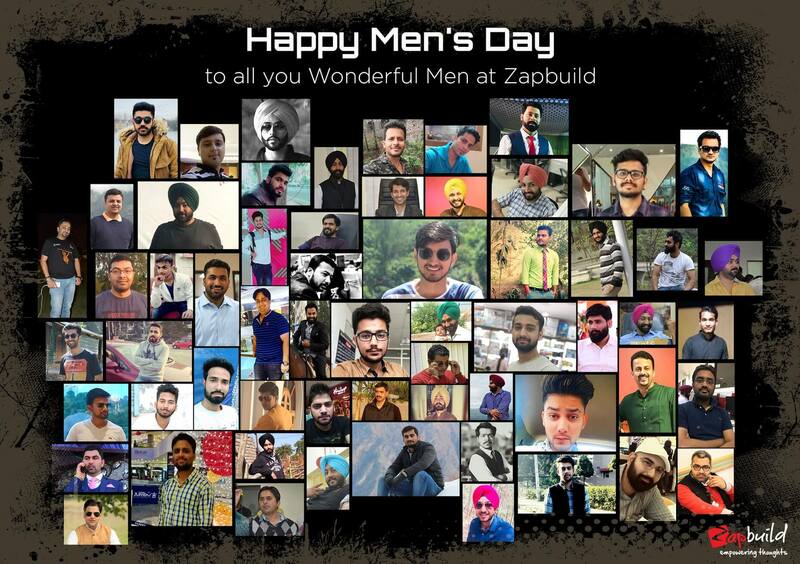 With our hearts filled with respect for such wonderful beings, Zapbuild appreciated and celebrated the men in the organization for their commitment and for acknowledging their contribution they make in the society for the greater good of all. We valued our male role models by welcoming them with a greeting card, flowers and chocolates. It was a humble gesture to let them know that we are grateful to them for their chivalry, for being there whenever needed and for fostering positive gender relations. It was an attempt to make them feel special on their special day. Zapbuild celebrated International Men’s Day to further encourage the men to teach the boys in their lives the values, character and responsibilities of being a man so as to make this world a wonderful and a happy place to live in.